An engagement marks a new chapter in your life and confirms your lifelong commitment with the person you truly love and want to spend the rest of your life with. Therefore, you should make all the necessary preparations to make this day memorable. This requires you to choose the perfect place to propose and select the best engagement ring for your better half. It is significant to choose the most perfect engagement ring for this important occasion. As engagement ring is a pledge of love and is also a gesture of affection and devotion. Therefore, it is extremely important to choose a unique engagement ring that suits the style and personality of your fiancé. There are numerous advantages of getting a custom designed engagement ring made for your fiancé. As in this way you can get an exact ring that you want for your loved one. This also includes the preferred style, size and type of diamond you want to be carved on the engagement ring. Most of the engagement rings only have diamonds and not other gemstones. However, with a custom made engagement ring you also have an option to embellish your ring with diamonds and several different gemstones such as rubies, topaz, sapphires and onyx. You may also choose your fiancé’s birth gemstone to make the ring look more personalized. In this way you can make your engagement ring look unique and trendy. If you choose to design a custom engagement ring, you will also have the option to decide the type of metal you want your ring to be made of. If you are planning to design a diamond engagement ring than you would definitely prefer a more modern and artistic finishing for the ring and instead of a traditional choice of gold you can choose metal such as titanium or platinum. 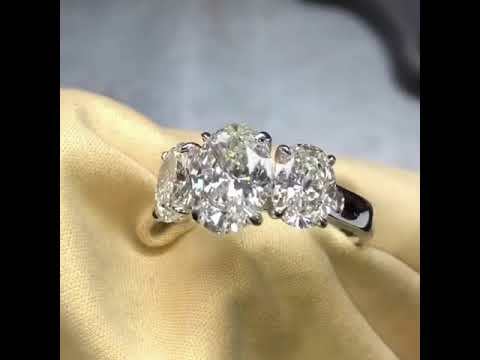 Therefore if you are looking to get the best custom made engagement ring in Toronto then Design by Sevan can create unique and artistic Diamond engagement rings in Toronto.We are choosing the most finest and sparkly diamonds in Toronto for your ring to make them look more sparkly and elegant. Design a very special custom made Diamond engagement ring in Toronto with Design by Sevan unique and customized jewellery service and make your fiancé feel happy on this special occasion.